Horizontal version of the logo, and logo versions with the tagline. 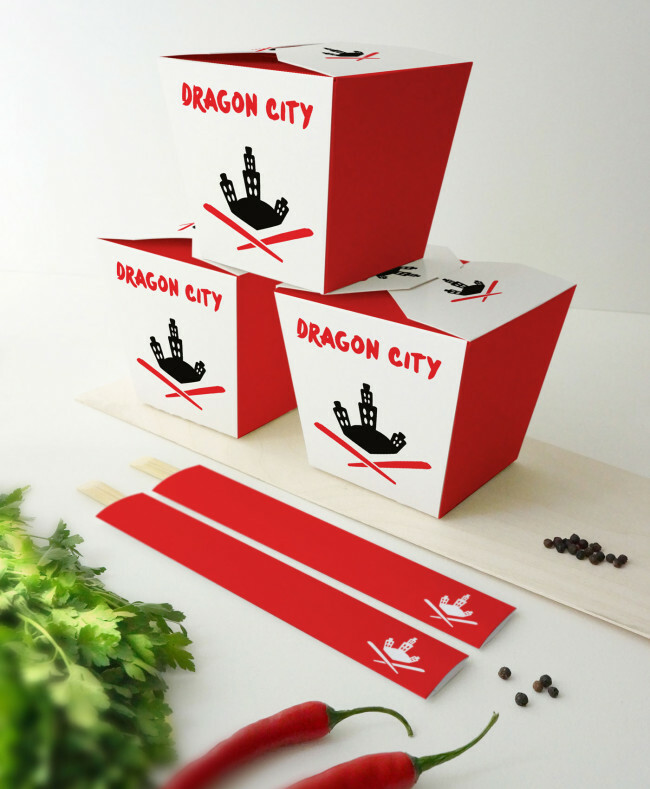 Take out containers and chopstick covers. 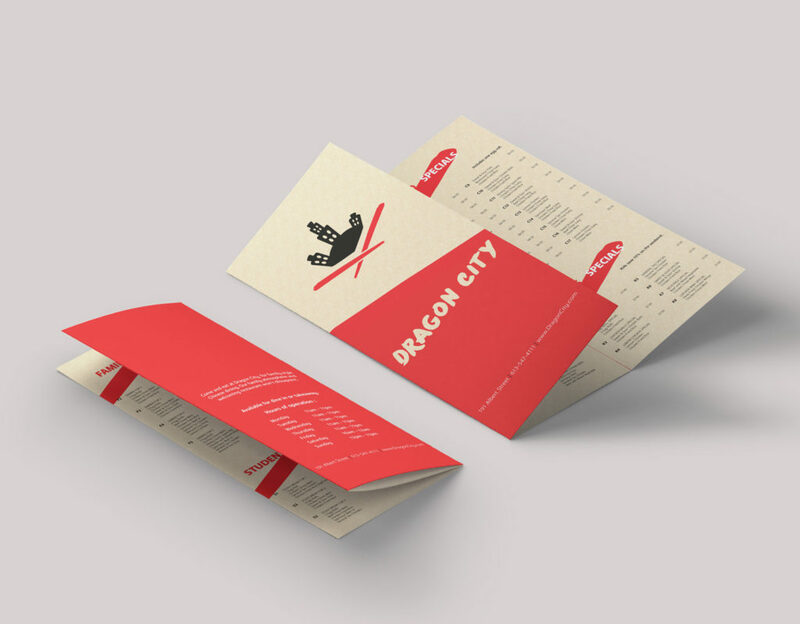 Dragon City’s brand book that explains the guidelines to using the logo properly. 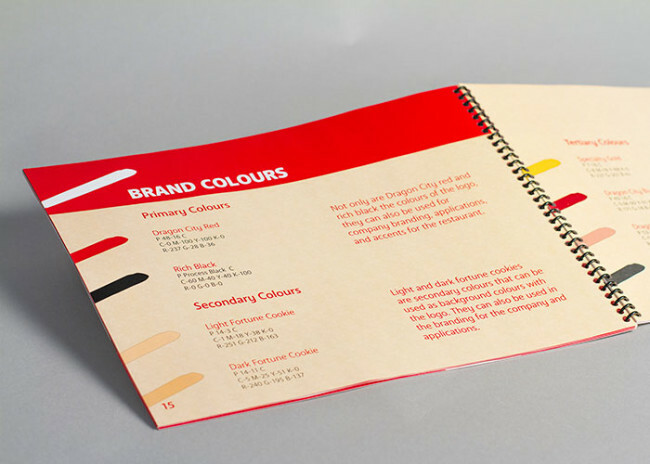 Inside spread of the brand book on the brand colour palette. 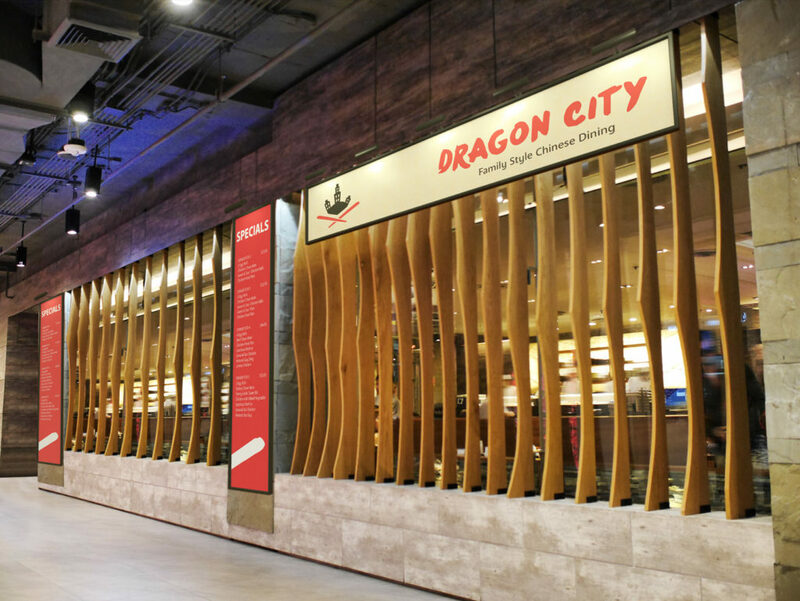 Dragon City is a family style Chinese dining restaurant. This is their mission and what they want to work by. 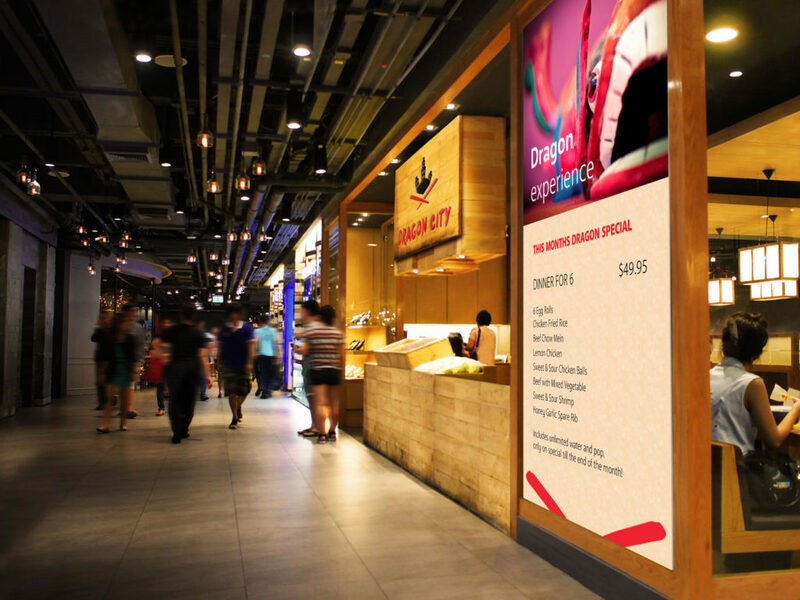 It is represented and delivered to their customers as a friendly environment where anyone is welcome. 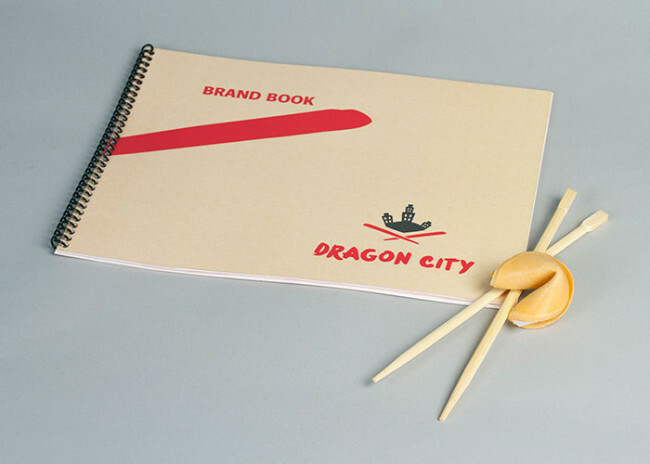 The objective was not only to create a logo, but develop a unique brand for the company. 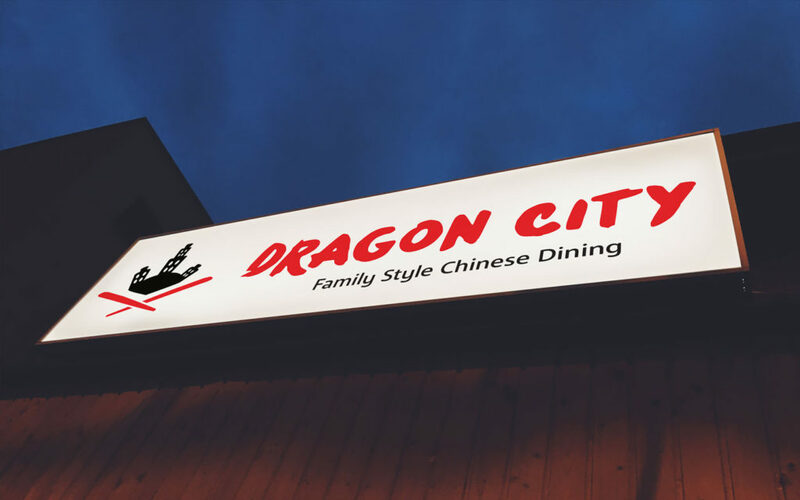 Creating a fun and wonky feel to the design of the logo represents the family style they are trying to present to the restaurant goers. 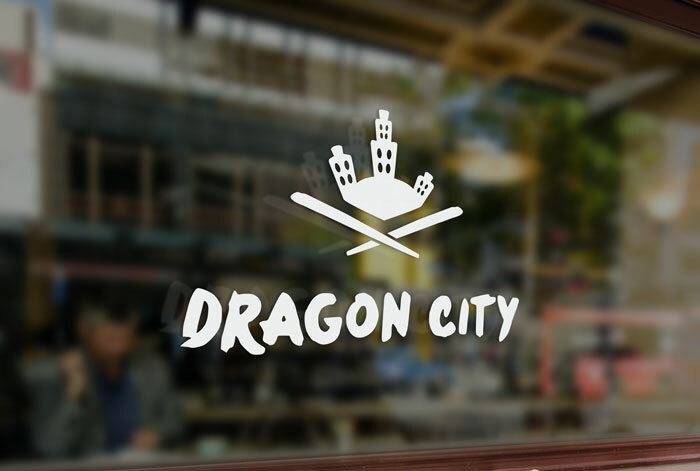 The type and logo work together to portray the Dragon Experience. Designing a style guide for the brand, outlined; different uses, the tone and experience, applications, typography, colours, logo variations, and much more. 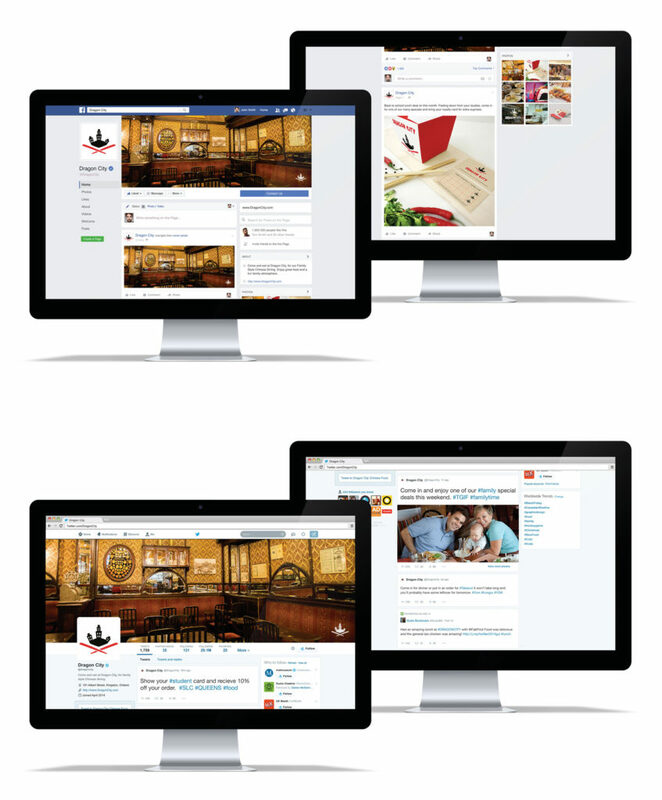 This explains to employees how the logo is best presented, which keeps the brand consistent. Colour choice related back to cultural significance. The logo design itself was to play off of the name, create something memorable, and most importantly speak to the target.